The Tea Shop Around the Corner is located in what was the North Camp Post Office, which was forced to relocate, to the detriment of businesses in North Camp. From appearance, a tea shop one might expect in a market town. I popped in for a coffee. It did not look too great, and looks generally also indicate deeper problems. It had a rather unpleasant bitter taste. Why I do not know, but I suspect made too hot, though could also be lack of skill of coffee maker (I would hesitate to call a barista), poor quality coffee, coffee beans not being ground fresh for each coffee. I had not intended to stay long, but as I was hungry, I had a salmon and cheese sandwich. Choice of bread. I chose wholemeal. Very tasty. I did not though like the unpleasant flavoured crisps. Ambience pleasant, but very noisy. Sonos streaming audio from the net a huge mistake. Awful music, interspersed with ads. And how much do the musicians get? Probably as bad as spotify. Far better, to select music from bandcamp if wish to lives steam music from the net. Poor choice of reading. Daily Mail and the magazines you’d expect to find in a waiting room. Or maybe reflects their intellect. By all means have the Daily Mail, but at least compliment with a quality newspaper such as The Independent or The Guardian. Free wifi. It died whilst I was there, or at least internet access died. It probably needed the router re-booting. But at least Sonos died too, which was a relief. Seating outside. On top of the rubbish bins. They need to exercise better control over the seating outside. When I walked by later, mothers with buggies blocking the footpath. I could squeeze past, but it would not have been possible for a disability scooter. Though this raises a wider issue. Is it not long overdue the street was pedestrianised, creating a far better environment? Curious why the coffee was not good, I popped back a couple of days later. I asked that it not be made hot. I was told that was how they were instructed to make coffee. All that says is someone does not know how to make coffee. My wishes were heeded, and the coffee lacked the unpleasant bitter taste of my visit a couple of days earlier. You cannot train barsistas, or at least training is not sufficient. If you want to serve quality coffee, you have to employ skilled baristas. And those lacking the skill, learn by working alongside skilled baristas. 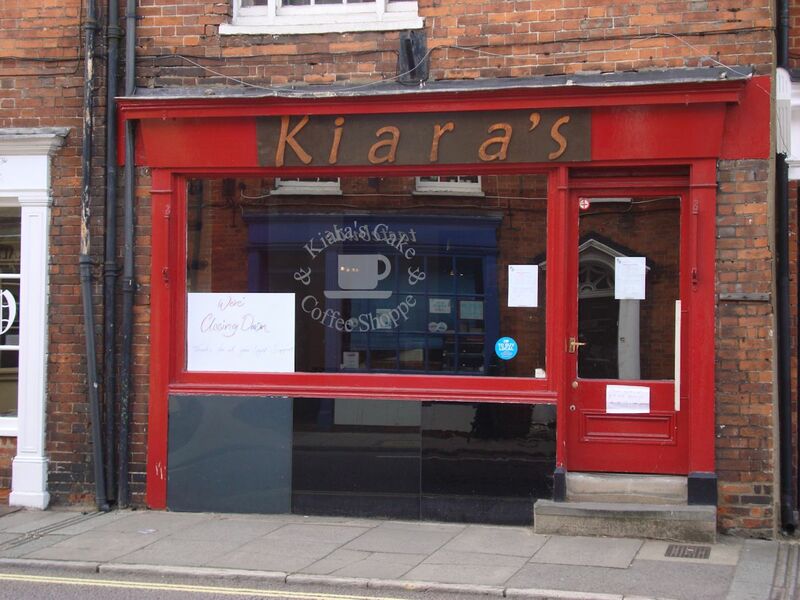 Last weekend I was saddened to see Kiara’s, a lovely tea shop in Downing Street, had closed. Bailiffs sent in by landlords based in Cornwall who could not give a toss about Farnham. Problem is, there are now a number of empty shops in Downing Street. Every time one closes, one less reason to walk down Downing Street and a domino effect kicks in, and yet more shops close, and that is what is now happening. About a year go, Morello’s, a lovely Italian coffee shop opposite Kiara’s closed. In June, The Barn closed in The Borough. Not good news for Farnham. 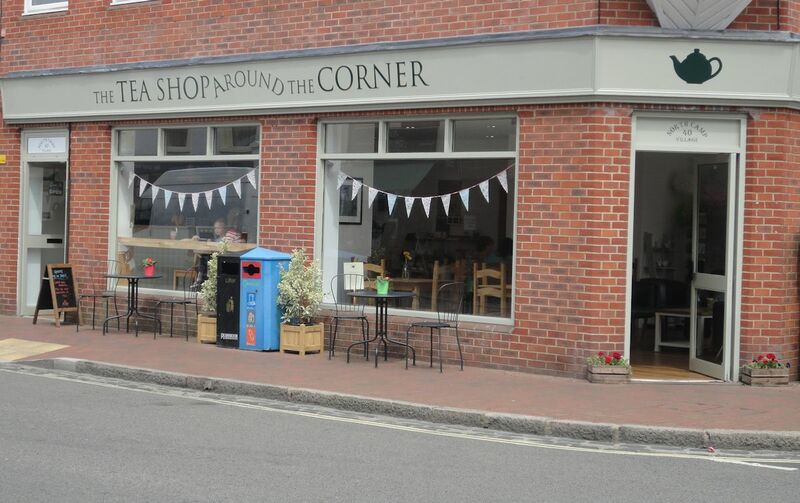 Kiara’s is a tea shop in Farnham thats serves delicious cakes. It was a cold wet afternoon in Farnham. I had had a roll in Morello’s, a lovely Italian coffee shop across the road. As they were closing early it was not possible to have a tea and cake, hence my crossing the road to Kiara’s. I was quite surprised to find Kiara’s packed, as when I have looked in before it has been empty. It is more of a parlour than a tea shop as when you walk in it is as though you have walked into a parlour, books line the walls. Even more so if you walk upstairs, where you will find two parlours. I have suggested they add a few Paulo Coelho books to their bookshelves. Afternoon tea is £12-50. This I thought must be a mistake, but no, it was correct. I ordered tea (which came as small pot of tea, and I am sorry to report a tea bag inside) and carrot cake. The carrot cake was delicious, though not as good as carrot cake at Cafe Mila in Godalming. A girl came through carrying a tiered tray. I thought she was topping up the cake display, but no, this was afternoon tea for two. Quite an impressive spread. In fact the two people could not eat it all and asked to take it away. Very depressing they were given a polystyrene burger box not a cake box. I wish people were more environmentally aware. It was now late afternoon. I could have caught the bus at 1704, but decide to visit The Barn and catch the 1804 bus.